For the past seven months, application-specific integrated circuits (ASICs) have been the central focus of Bitcoin mining development. Ever since Butterfly Labs became the first company to publicly announce its upcoming ASIC technology in June 2012, four startup companies have been in a race to be the first to release the technology. Now, it looks like the race finally has a winner: Avalon. On January 19, the countdown timer which the company had boldly placed on its website weeks before has reached zero, and within hours, the company sent off its first batch of 300 mining rigs to its customers. The units are currently being shipped from China, and, Avalon founder Yifu Guo believes, units should start arriving at customers' doorsteps at the beginning of February.The specifications of the devices are somewhat less impressive than what Butterfly Labs has been promising. The most basic statistics, price and hashrate, are the same, with both companies offering 60 GH/s for $1,299. Going deeper into the features, though, there are significant differences. While Butterfly Labs' line of SC devices, with the exception of its 1500 GH/s "Mini Rig", is able to fit inside a ten-centimeter cube, one of Avalon's machines is as large as a typical desktop computer - a space inefficiency that the company was forced to pay dearly for with shipping costs of $150 per device. Compared to Butterfly Labs' promised power efficiency of 1.2 watts per GH/s, Avalon is offering 6W per GH/s - still nearly an order of magnitude of improvement over existing FPGA hardware, but nevertheless not nearly as efficient as what Butterfly Labs customers are expecting. Avalon's technical specifications are also generally inferior; Guo admits, for example, that Butterfly Labs' manufacturing process used a wavelength (a measure roughly comparable to the size of chip features) of 65nm, but Avalon used the relatively coarser 110nm.However, Avalon easily makes up for all of these deficiencies with one overwhelming advantage: so far, they are the only ones to have actually shipped a product. 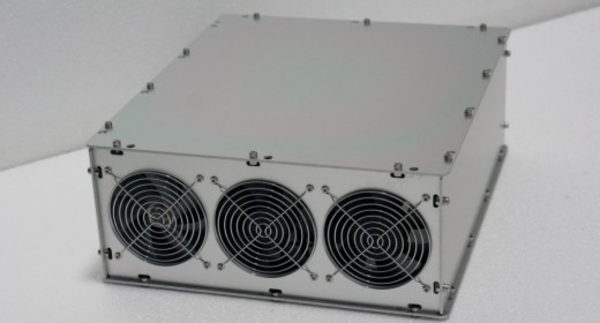 Avalon's main three competitors, ASICMiner, Butterfly Labs and bASIC, all originally promised shipping dates in October or November, but as of today, none of them have even demonstrated a functional product. ASICMiner is perhaps the closest to getting its machines working, but there is reason to believe that even it may be in worse shape than it appears. "There are some oddities with their announcements," Guo explains. Normally, computer chip manufacturing facilities produce a "yield" of 95% - that is, less than 5% of the chips that come out of the foundry are imperfect in some way. For ASICMiner's chip production, the company's customer service representative reported, the number of failed chips is as high as 30%. In theory, all this means is that the manufacturer will need to make 43% more chips to compensate, but the abnormality hints at the possibility of other problems to come.ASICMiner has been relatively quiet about the reasons for most of their delays, although the latest - from mid-January to late March - was caused by a combination of internal business difficulties and Chinese New Year celebrations ensuring that work could not be completed in the weeks leading up to, and immediately after, the actual holiday that falls this year on February 10. Butterfly Labs has announced multiple significant delays, and is currently sticking to a timeline that will have it shipping the week of February 10. The most recent delay was caused by a decision to change the technology that it uses to connect its integrated circuits to the rest of the processor. Its original plan had been to use the Quad Flat No-leads package (QFN) technology, but heat management issues forced them to reconsider and switch to the Flip Chip Ball Grid Array (FCBGA), a change which is difficult to make at such a late stage in development.Avalon, on the other hand, has seen its development process go extremely smoothly, and has even come out far ahead of schedule compared to their original scheduled release date of late February 2013. Since then, they have mostly pushed their deadline forward, rather than back, with two small exceptions: a single one-week delay that the company were able to predict over a month in advance, and a largely unnoticed, one-hour, delay after the countdown timer expired on January 19. Ironically, the latter delay was caused by the exact opposite problem to what Butterfly Labs is facing: Avalon needed to remove some fans from its hardware because its cooling system was doing its job too well.Aside from basic statistics, Avalon has also made a number of other features of its devices public. The machines will run on openWRT, an open source Linux operating system, and the mining software itself is simply cgminer combined with an Avalon-specific driver. This also means that the Avalon code is entirely open source; openWRT is available under the General Public License version 2, and cgminer is released under GPL version 3. The machine uses a standard ATX power supply, the same as that used by ordinary computers, and internet connectivity is provided via Ethernet and Wi-Fi.Configuring the machine will be possible either through SSH or a dedicated web interface, allowing users to easily set it up to mine with their preferred mining pool. Solo mining, however, is harder. Unlike pooled mining, where the miner receives the block headers needed by the mining algorithm directly, a solo miner needs to have an instance of bitcoind running locally or connected to the machine, which also requires storing the entire 6 GB Bitcoin blockchain. There are two ways to get around the issue. First, one can run an instance of bitcoind on a separate PC and configure the Avalon machine to work with it just as easily as one would a mining pool. Alternatively, there is also the option of running bitcoind on the machine directly, but that would require a USB flash drive to store the blockchain, as well as some special configuration to make bitcoind available on openWRT. This second option, while attractive, is thus much more difficult to implement and not supported “out of the box”. Mining with P2Pool presents a similar problem, although in that case there is a third workaround: connect to a public P2Pool node rather than running a node yourself.Altogether, Avalon's first batch is expected to contribute a total of 18 TH/s to the Bitcoin network - about eighty percent of the network's entire hash power at the time of Avalon's shipping. The network hash power is expected to ramp up slowly over the coming weeks, giving at least some Avalon customers a small window of opportunity to quickly earn back a significant portion of their investment before the network difficulty adjusts - and before Avalon's competitors catch up. The company's next batch is expected to come with 500 units on March 1, although with prices increased to $1,499 per machine, and yet undisclosed future upgrades are already in the works. Avalon founder Yifu Guo has agreed to share his thoughts on the ASIC mining industry, and what enabled him to succeed where others have failed.Vitalik: So when did you get into the ASIC business?Yifu Guo: It was March, 2012. Some hardware people, e.g. ngzhang, and I spoke about it, since it was technologically the next progression. We never stopped talking about it, but I'd say the serious work didn't begin until BFL announced their ASIC lineup. We didn't want a company obtaining monopoly, thus serious work began.Vitalik Buterin: well, now you have a monopoly - you're shipping almost as much as the current network, how do you feel about that?Yifu Guo: I don't like it frankly speaking. Technically the reality was supposed to be fairly different. BFL and bASIC were suppose to ship before me, and I was not expecting large demand due to their delays. Originally I was supposed to make this batch and sell chips, and provide the technology to more people, rather than making this a business. But alas, I've became what I've tried to prevent. With power comes responsibilities.Vitalik Buterin: Why do you think the other three major ASIC producers have been delayed so much?Yifu Guo: They don't have existing relationships with IC companies, is the short version.Vitalik Buterin: And you did right from the start?Yifu Guo: Yes, this is correct. I am involved heavily with the development process, as indicated by all the paperwork and stuff I've released, as are most people who are involved with Avalon but not on the IC team. Close communication made us. We never had a "fuzzy" date. I've known what was going on, when things are happening, what parts are coming in, what's being bought and etc. Hence I was able to give good promise on dates, knowing we would be a few days late a month earlier. This is our biggest advantage.Vitalik Buterin: Yeah, I saw that. Very precise of you. So what does your corporate structure look like?Yifu Guo: There isn't a clear "company" structure involved with it, but we are not new to product development, and we knew what skillset we needed, so we brought who and what we needed on board, and worked together do this project. There are parts we "contracted" it out, if you will; for example, we didn't CNC our cases ourselves, nor we had laser cutters, but we 3d modeled it, and somebody else converted it to a machine drawing for example. They were mostly friends, as you know that's how things work in Asia. Essentially the whole design is made by us, including the chip, it's the back-end and 110nm actualization that is done by the IC company, considering the actualization tools are expensive.Vitalik Buterin: So it's basically that they don't have close communication that's been causing BFL and bASIC to fall behind so much? Are there any other factors, in your opinion?Yifu Guo: I think a lot of the problems that came out were caused by a lack of communication. Remember how Inaba comes out and says something like, the chip is flawed, then the engineer Nasser comes out and says it's "clock buffer problem". Whether that's true or not, let's not talk about that, but the gap in communication indicated by this event is apparent. Or how Inaba is saying they are waiting on dates, or how bASIC is saying how they are waiting on dates. And in the case of bASIC, I really think they got scammed by whatever company they were working with, because I don't think Tom is technical at all, nor is Inaba. But I also don't think that's the point. How does it not raise a flag, as a person involved with a project to accept things like something being due today, but only to have a third party tell you that the new deadline is “30 days later”. That was Inaba addressing when the chips are coming out in December, and now they released a new timeline on how their chips are coming at the end of January. If it was me I wouldn't have accepted that kind of delay without getting some SERIOUS answers.Personally I'm often the one to press for explanation and answers in the development process because 1. I have the weakest knowledge in hardware compare to everyone else involved and 2. I handle public relations. So, back to the original problem, they were at the mercy of quoting dates from third parties, while we were always in control. That is, aside from Chinese New Year and some customs issue that delayed us, but we announced CNY issue the same day we announced the project, and the customs issue a month ahead.Vitalik Buterin: How did the shipping process go? When do you expect customers to receive the boxes?Yifu Guo: We underestimated the shipping cost by like $80 per unit and ran into some issues with customs, so we are already in the red from shipping costs this round and later than we planned. As for when they will arrive, depends on where the customers are, but I think 2 weeks or so.Vitalik Buterin: Alright then, thanks a lot for your answers. That was a really interesting conversation.Yifu Guo: Anytime.